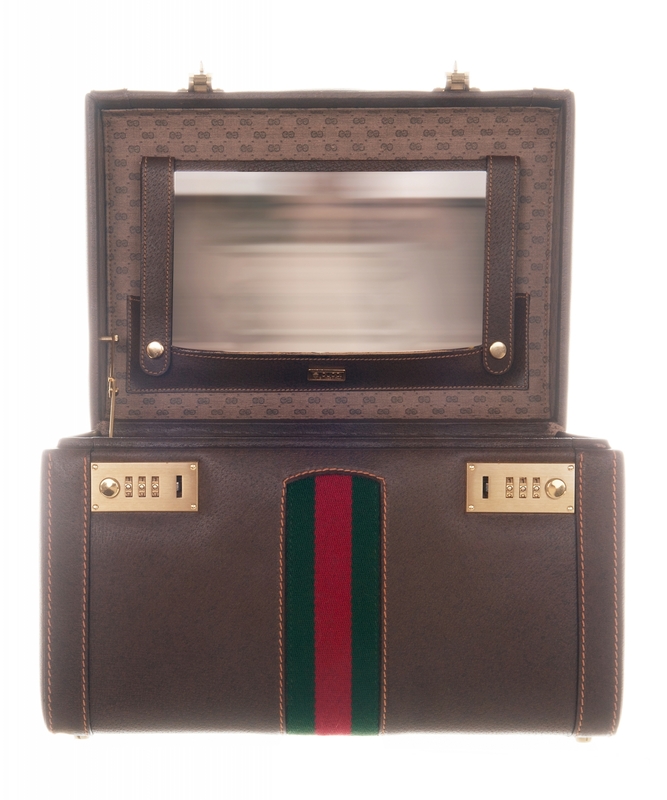 Documented vintage is not only a privilege to have pass though your hands but often represents hours of extra work hunting down editorial sources from the time the bags were originally made. So we have to admit an extra little thrill discovering the twin of this beauty case is on display in the Gucci museum in Florence. A piece of history. 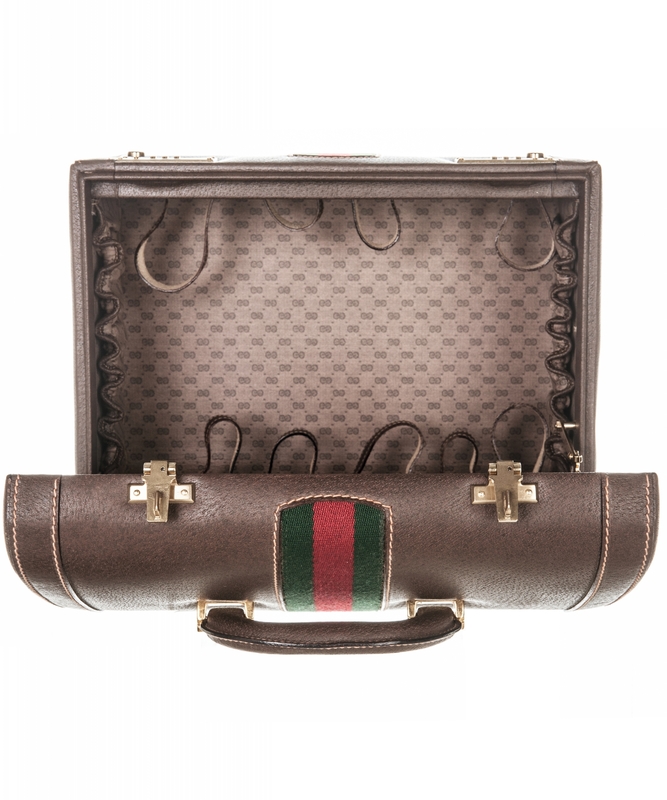 Intrigued by the social routines of the international jet-set, Guccio Gucci gained familiarity with different types of luggage during his years as a liftboy at London’s Savoy Hotel. 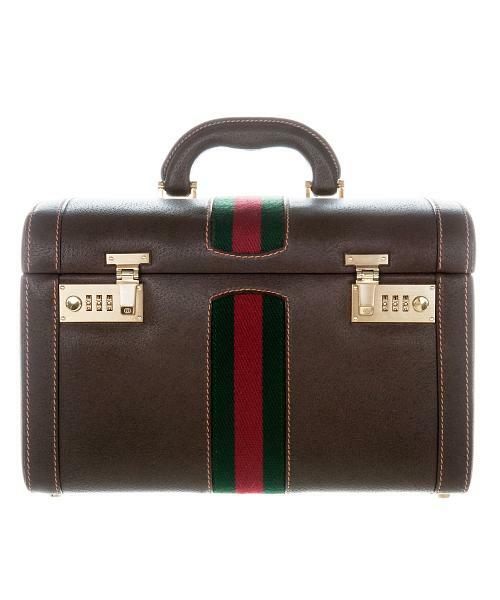 As he observed the coming and going of the renowned hotel’s clientele, he understood the importance of the Vanity Case as a container for numerous beauty and personal care products. 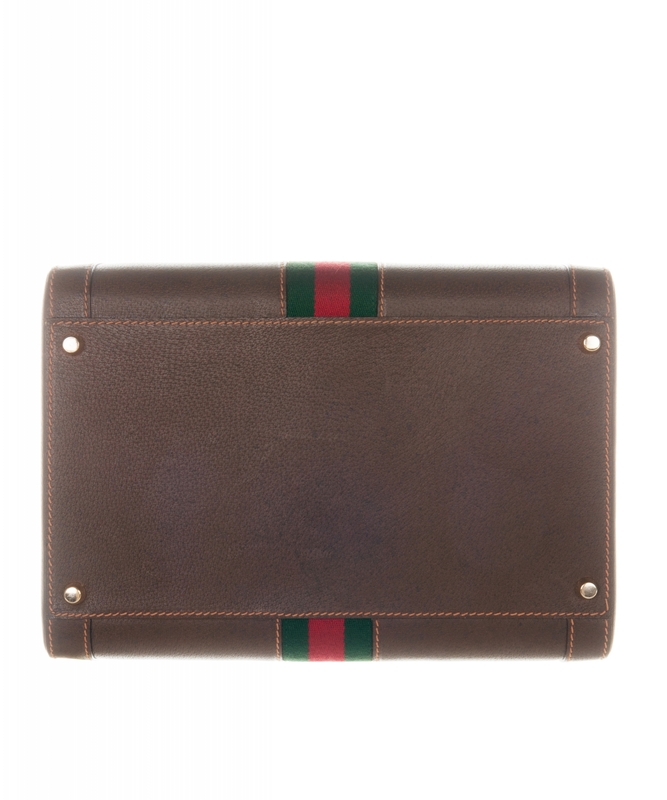 Vanity cases are present throughout Gucci’s production beginning in the thirties. 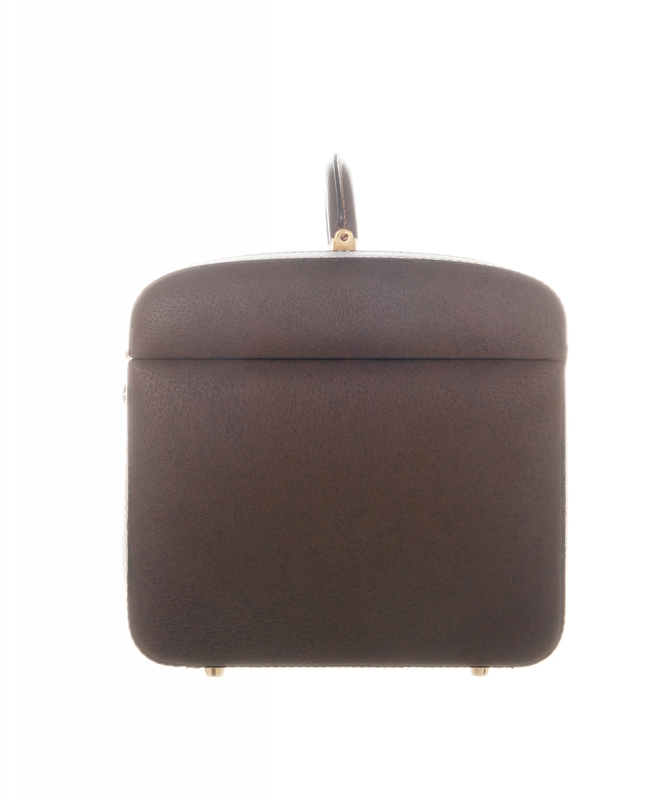 In that period, the necessaire case, with its compartments to facilitate the travels of stylish men and their bare necessities, became an instant classic of the Florentine house - long before the development of its female version, the beauty case, which was first designed in the fifties. 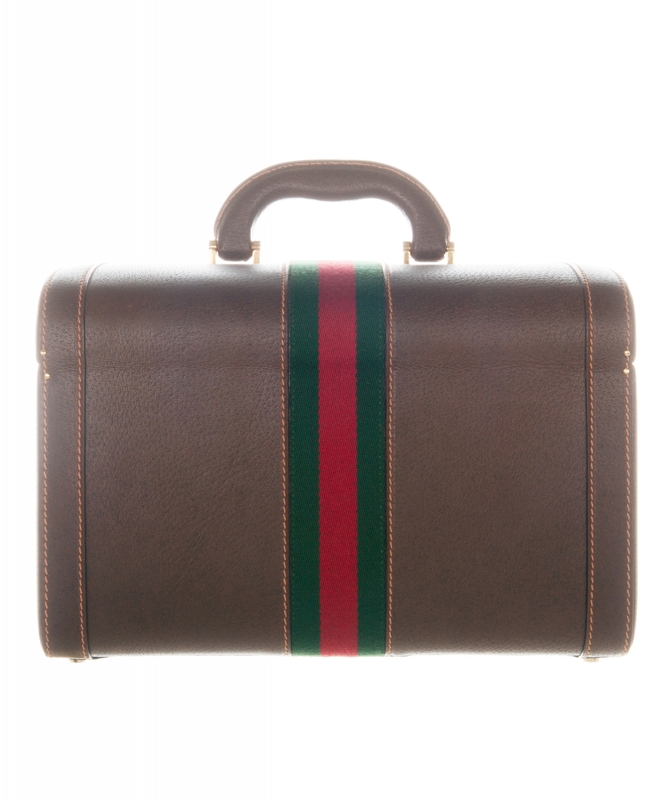 Dating back to the '70s, the beauty case with inlaid green and red web stripe, remains in immaculate condition and appears to have been used very little if used at all. 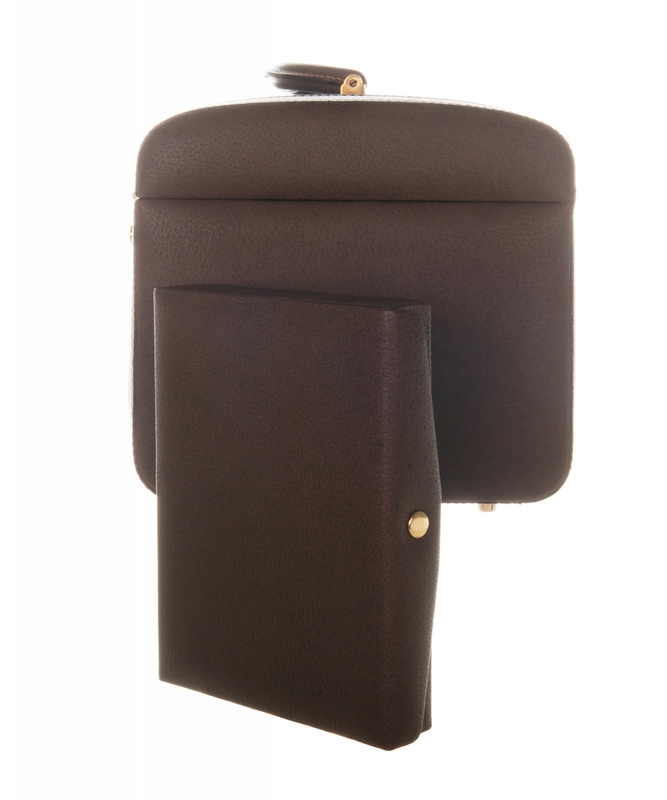 The material used is pigskin, which became a signature house material after its introduction in 1947.